Perennial. Zone 2. Ranunculaceae. From the European Alps and Apennines. 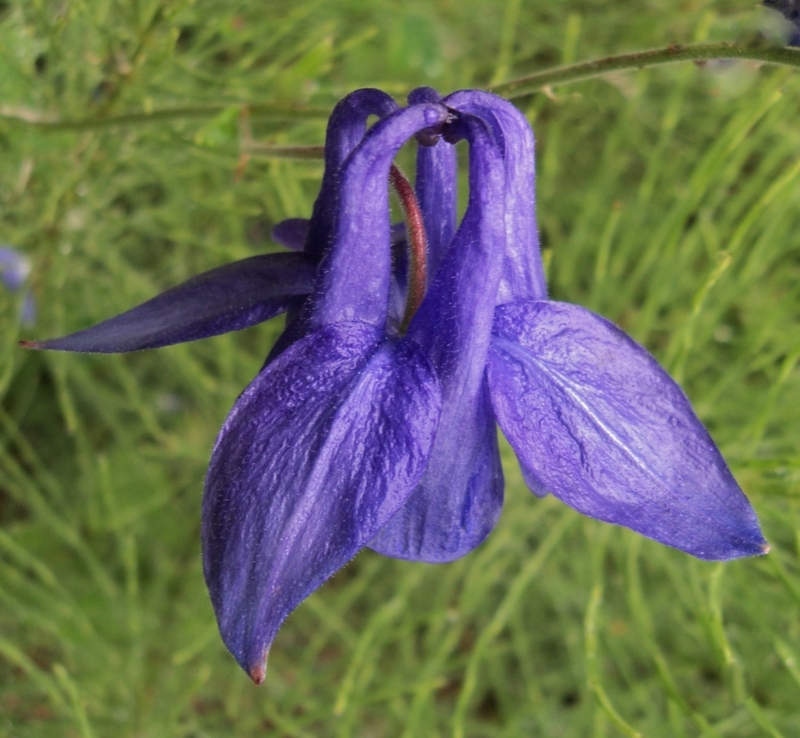 This is a grand, very long-blooming species, native to European mountain meadows and open forests. 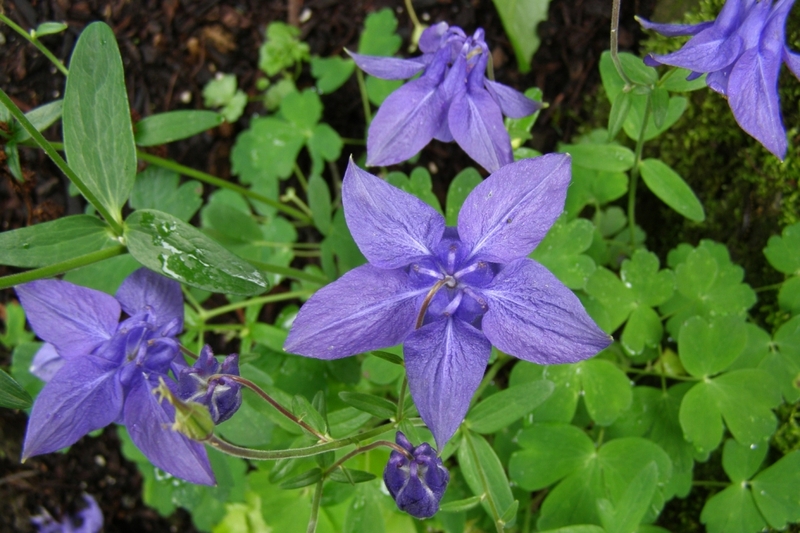 It has been grown in gardens for centuries, and has been much used in Aquilegia hybridization. Large, short-spurred, dusky violet-blue flowers in profusion top 12 to 18 inch tall plants from mid-spring well into summer. A tidy plant, hardy and adaptable. It will self sow, and will cross pollinate with other Aquilegias growing nearby, so your seedlings will always be something of a surprise as to colour and form. Plants I have grown from reliably-sourced seed labelled “alpina” have always shown a strong similarity in colour and habit; the species (or at least the cultivated, evolved form of the species) seems to exist in a fairly stable type. 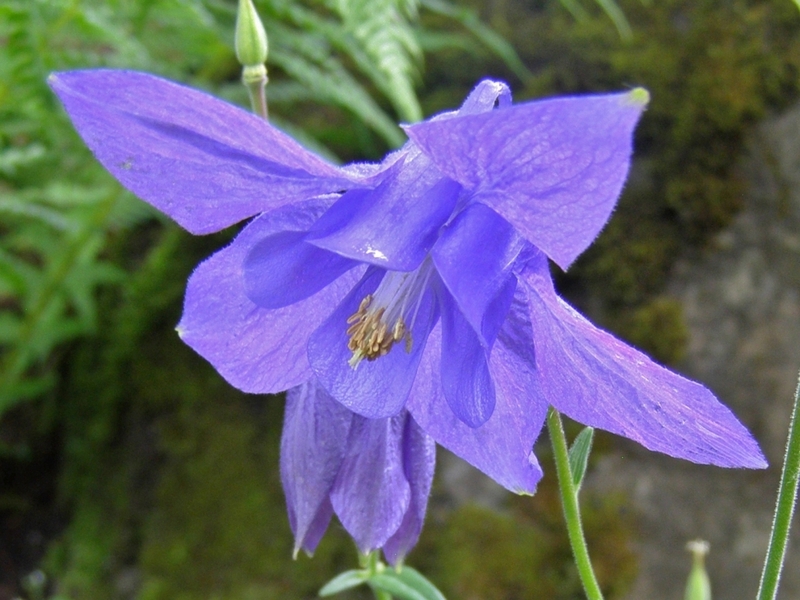 It would be interesting to grow out some wild-collected seed from Aquilegia alpina’s native habitat to compare with the cultivated strain; perhaps I will request some from this fall’s collectors’ seed lists and see what we come up with. Sun to shade, good soil and moisture.